Published on Friday, June 16, 2017. This article appears in the June/July 2017 issue of American Craft Magazine. 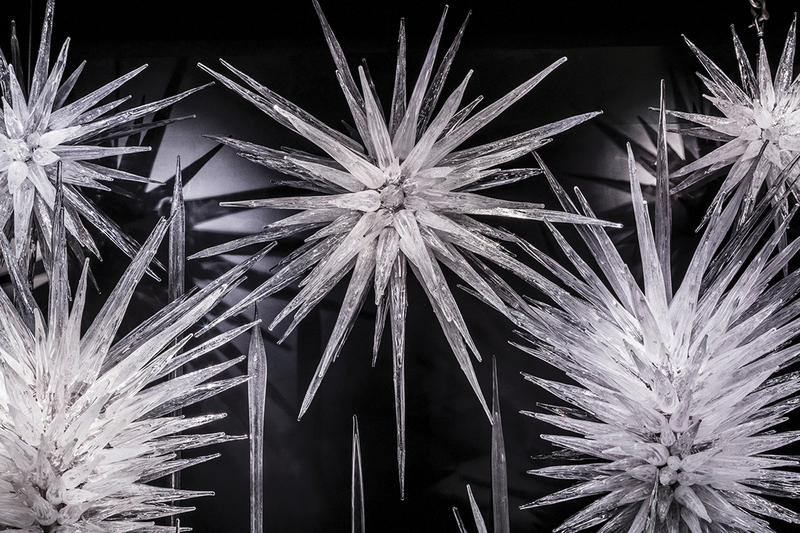 Smashing Glass: The gleaming edge of virtuosity is on spectacular view this summer in Arkansas, California, Missouri, Pennsylvania, and Washington. Dale Chihuly transforms the inner and outer spaces of the museum into a glass wonderland with about 100 pieces, from slumped baskets to large installations. Some are classics, others new work. The gallery show ends in August, but the works in the woods shine on well into the fall. 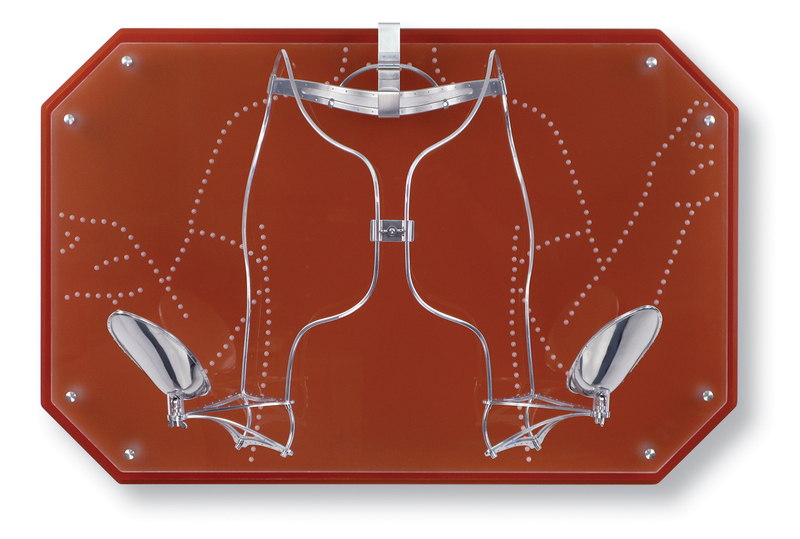 In this retrospective of 56 assemblages and installations spanning feminist pioneer Nancy Youdelman’s career, the artist considers themes such as societal notions of beauty, the significance of the mundane tasks traditionally assigned to women, and the roles of nurturer and provider. In her five-decade career, Betye Saar, who turns 91 on July 30, has probed racism, sexism, spirituality, and memory in prints, installations, and assemblages of found objects. 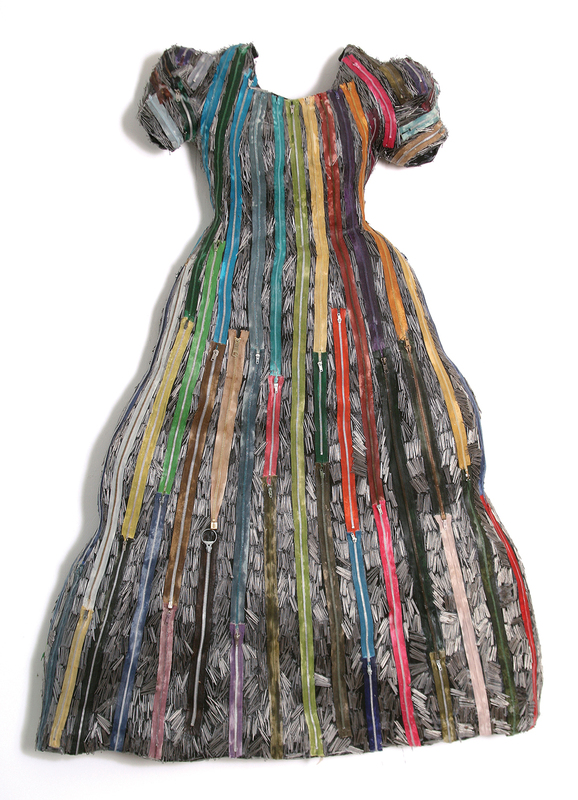 Since the 1990s, she has been using antique washboards as bases for works that challenge historical and persistent stereotypes about “docile” African American women who toiled under harsh conditions for white families. 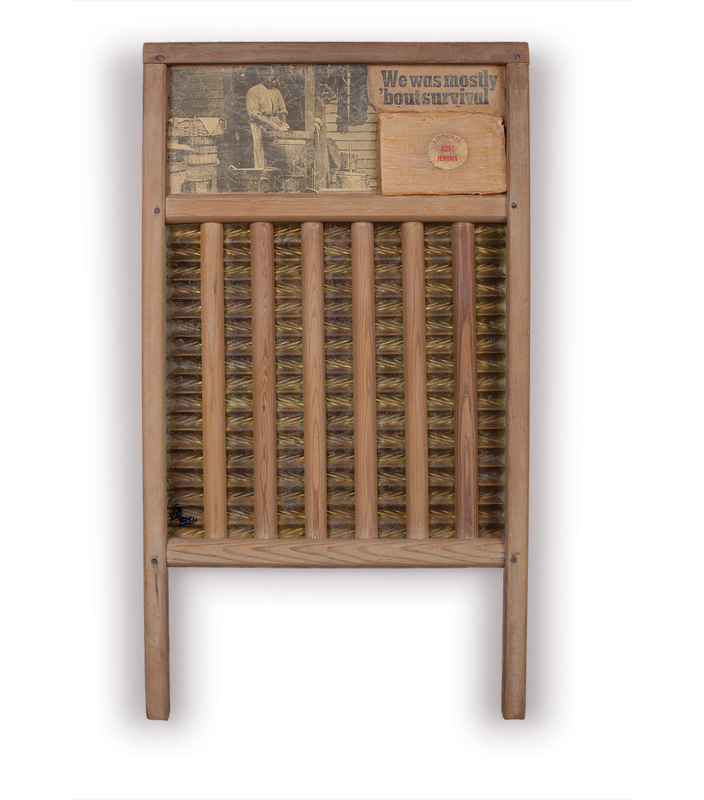 In Saar’s washboards – 18 on view here – these women have power and voices. Kazuki Takizawa’s blown and shaped glass vessels are purposely flawed metaphorical containers. In 20 pieces that riff on Venetian glass conventions, the artist uses the material’s strength and fragility to explore and define the realm of overwhelming emotions. Nine contemporary artists and an artists’ collective express dread, tension, unrest, and loss, among other uncomfortable feelings, in works that are punctured, leaking, cracked, or broken. Modern life, anyone? This show is a summerlong valentine to wood, with about 50 works by 12 contemporary artists making manifest their sheer love of the material in diverse methods and styles. Amy Sabrina (1956 – 2013) lived and worked in rural Minnesota. 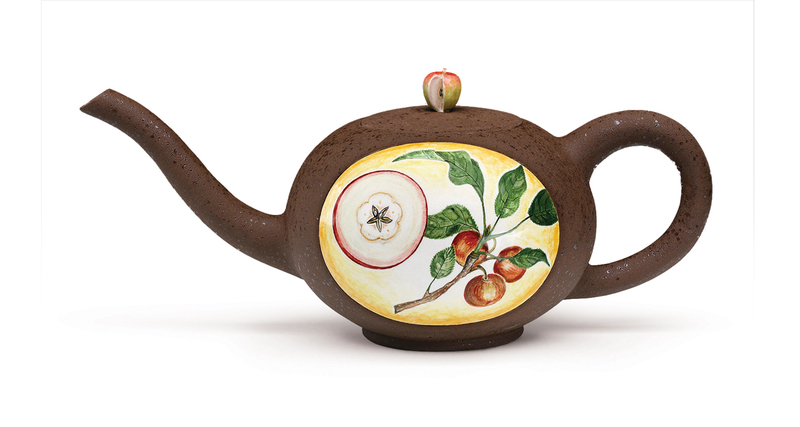 There she made earthenware pots, often with handpainted images of insects, plants, or animals, that reflected her droll humor and profound love of nature. This show includes work from throughout her career, cut short by cancer. Craig Mitchell Smith employed fusing, texturing, slumping, and cold-working to bring to life 30 larger-than-life glass blossoms, from dandelions to orchids. The kiln-fired flowers are installed at several spots around the garden and are illuminated Thursday through Sunday. Is it a human? An animal? A building? 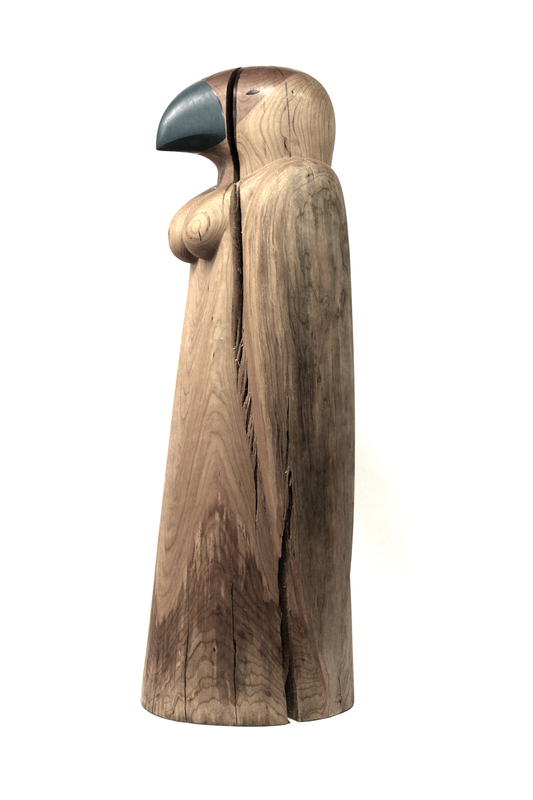 In Gary Spinosa’s clay world, a single figure might have elements of all three, giving it a mystical, totemic quality; timeless spiritual meaning seems to take material form in the more than 50 works on view here. Western North Carolina has long been a hub for craft makers and aficionados. Ten years ago, Blue Spiral 1 and the Center for Craft, Creativity & Design collaborated on a show that surveyed the region’s numerous major makers and its instrumental place in craft history. The present show is an update, with 25 invited artists from among the area’s best, including Elizabeth Brim, Stoney Lamar, Alex Matisse, and Rachel Meginnes. 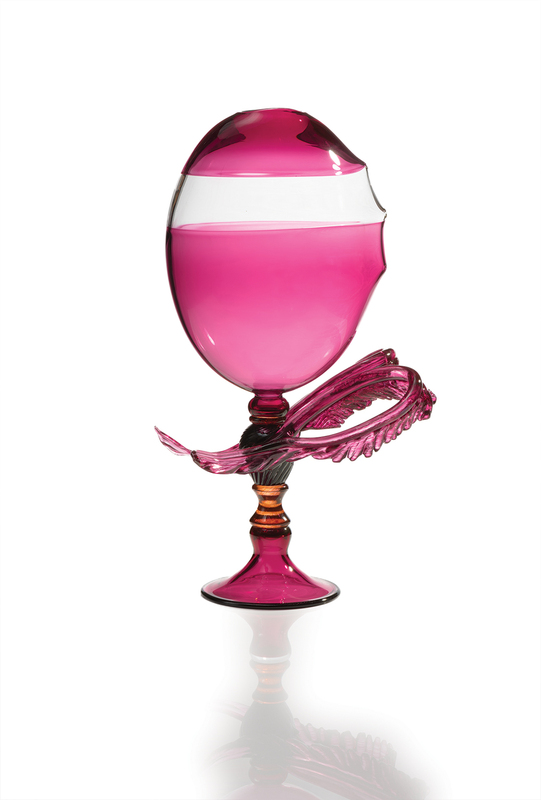 This show, celebrating Pride Month and the personal freedom it represents, is billed as the nation’s first studio glass show with work created solely by artists from the LGBTQ+ community. In keeping with the spirit of the event, the works are unlimited in their range of subject, style, and method. Ten artists created 34 objects and endowed each with a common purpose: Move it! From flying machines to a device that maximizes the nervous relief found in finger-tapping, everything on view here moves or has moving parts; viewers are invited to make the works bounce, twirl, or jiggle. “Jimmy can make anything in glass.” So says Dale Chihuly about James Mongrain, his longtime studio assistant. The more than 100 works on view, commissioned for the stellar Stroemple studio glass collection, are proof – as if any were needed. Inspired by traditional Italian forms, Mongrain’s vessels, many graced with elegant creatures, are fantasias of imaginative detail, technical mastery, and extravagant beauty.